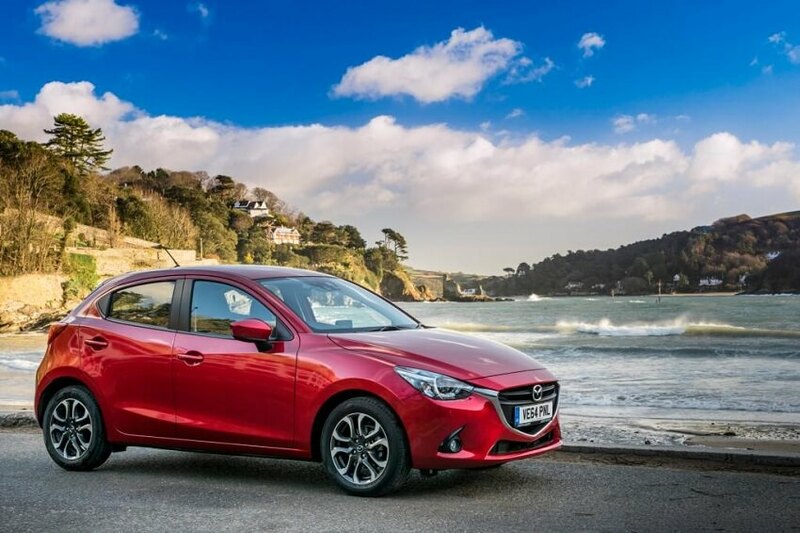 The new Mazda 2 Hatchback is a stylish hatchback that looks modern, and which can offer an engaging drive. As far as family cars for young people go, it’s one of the best out there right now. Its rivals include the Vauxhall Corsa and Ford Fiesta. To convince you of its credentials, it has to be pretty damn good. Its distinctive exterior design ensures that it stands out from the crowd, and low running costs are another huge strength. But its the way this car handles that gives it the edge. OSV takes a closer look at what it’s all about with our Mazda 2 review. There is no doubt that the new Mazda 2 offers a good driving experience, but it still can’t compete with the Ford Fiesta, which is still the most entertaining car in this sector. The steering is direct, but it needs a bit more feel and weight to be up there with the Ford. Mazda offers a chic between either a 5 or 6-speed manual gearbox, while you can also opt for a less suitable six-speed automatic ‘box. The car generally deals with potholes well – unless you go for the bigger 16” alloys. You can’t get the 1.5-litre 104bhp diesel engine with the six-speed automatic transmission, but it’s the best in the range. It offers a faint noise, but nowhere near as much as the petrol. It’s also more flexible, and although it’s turbocharged it derives a lot of power gradually, as opposed to waiting for an of gear changes before making its mark. It can do 0-62mph in 10.1 seconds before maxing out at 111mph. It costs more to buy outright than the petrol engine, but if you’re planning on making lots of lengthy journeys, it will make sense in the long run. There is only one petrol engine available, but you can get it in three different power guises. The entry level 74bhp is a bit underwhelming, but the 89bhp model is considerably perkier, and can get you from a rest to 62mph in just 9.4 seconds. The most powerful is a 113bhp engine, which takes 8.7 seconds to cover the 0-62mph sprint. The cabin is vastly different to its predecessors and has been updated so that it now looks modern and much easier on the eye. The button clutter of last time has been reduced thanks to the introduction of a 7” infotainment screen, while build quality is top notch. Opt for the pricier top-spec models and you’ll even get treat to stitched leather on the dash, door panels and seats, which elevates it above even the likes of the Audi A1. We also like the circular vents, which serve to enhance the sporty character of the car. The 7” is not standard right across the range, but we recommend getting it as it enlivens the interior and simplifies the controls. You can also sync up your smartphone to get access to the Internet, radio, and social media, while all it takes is just a few buttons to control pretty much everything. The Mazda 2 is bigger than last time, which means that interior space is better. Five adults can fit it, but not everyone in the back will be comfortable on longer journeys, though. Elbow room was an issue last time, but this has been sorted thanks to the extra width. Storage space is generally good, but the glovebox might prove to be a bit of a nuisance and it can collide with front seat passengers’ knees when opening. The boot is larger and now measures 280-litres. Fold down the rear seats and you can improve this to 960-litres. There is no spare wheel, and a large load lip makes loading heavier items awkward. However, the wide opening is a positive. Standard equipment is bursting with plenty of hi-tech gadgets and gizmos, such as a heads-up display, full LED-headlights, and the brand’s MZD Connect infotainment system, which comes with a variety of functions, including social media. The Sports Black trim is the standout model and gets rain-sensing windscreen wipers, automatic headlights, rear parking sensors. 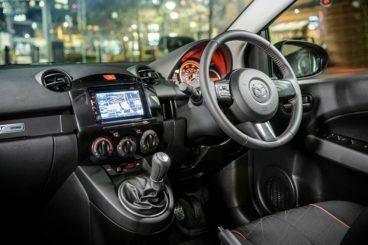 Optional extras include the aforementioned 7” infotainment touchscreen and 16” alloys that will enhance the sportiness of the car, but can also diminish comfort. Prices for the new Mazda 2 Hatchback start out from £12,200 and rise to just over £17,000. If you’re more interested in a Mazda 2 lease, you can pick up a deal from as little as £170 + VAT per month. For more information on our Mazda 2 finance deals, you can check out our page here. In terms of running costs, the car is on the whole cheap to run. Unlike its rivals, though, which are turbocharging their petrol engines for more efficiency, Mazda use something called SKYACTIV technology to keep running costs down. The cheapest petrol engine to run is the 89bhp variant, which is good for 62.8mpg. It will, however, cost more to buy than the other two. No petrol costs more than £20 to tax. The SKYACTIV-D diesel engine is your best bet if you expect your annual mileage to be high. It can average fuel economy returns of 83.1mpg and doesn’t cost anything to tax. When it comes to insurance, the eentry-levelmodel sits in group 13, while the most expensive Mazda 2 Hatchback occupies group 16. Mazda has used what they refer to as their Kodo design language to great effect here. Looking like the Mazda 3 hatch but scaled down, it boasts a trapezoidal grille, swooping roofline, and body-coloured door mirror housings. The car is a pleasure to drive. It’s refined, comfortable, but also fun. Thanks to SKYACTIV technology, Mazda have been able to keep a lid on running costs. The real world economy is good, and the engines come close to being the cleanest in this sector. The interior is certainly stylish and well-designed, but it’s let down by some cheaper materials. For example, the plastics that cover the top of your dashboard look decidedly low rent. The only thing that lets the driving experience down is light steering that would benefit from a bit more feel. 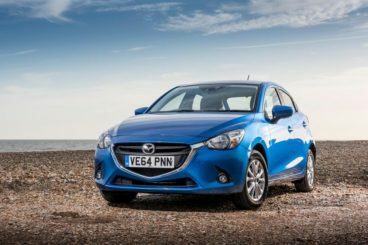 Let’s see how the car fares against its rivals in the comparison section of our Mazda 2 Hatchback review. 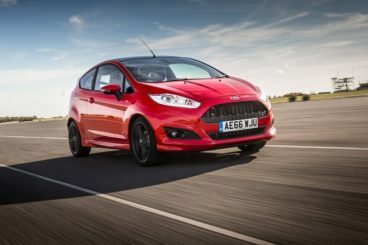 The new Ford Fiesta Hatchback has for a long time been the best to drive in this class, and it holds onto that mantle here. It’s now visually striking, and will once again be one of the most popular family cars. 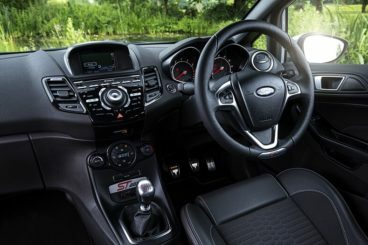 Thanks to direct steering, the Fiesta is good fun to drive. It has verve, finesse, and is agile enough to make tackling bends a cinch. It isn’t, however, as composed as some of its rivals, while some of its engines feel underwhelming. The entry level 1.25 and 1.6-litre petrol engines, for example, are old and lack power. If you push them too hard, you’ll really hear it. It’s better that you skip these two and head straight to the 1.0-litre EcoBoost petrol engines, which are available in either 98 or 123bhp. They may be small but they come equipped with enough intelligent tech so as to play the role of a larger engine. There is also a diesel unit available. A 1.5-litre TDCi engine, you can get it in either 72 or 93bhp guise, and both make a lot of sense if running costs are at the top of your list of priorities. They can achiever average fuel economy returns of 88mpg, and cost nothing in road tax. The Fiesta is considerably cheaper to insure than the Mazda. The diesels do cost more to buy initially than the petrol engines, though, and if you’re only planning to make shorter trips, it’s the petrols that probably make more sense. The 1.0-litre EcoBoost doesn’t cost anything to tax, and thanks to stop-start technology it also keeps fuel economy down. The Fiesta’s cabin is top quality. The driving position is very good, and it’s easy to get comfortable. The sweeping dash is easy on the eye, and gets a centrally mounted screen that looks very 2016. A couple of minor criticisms include a fit and finish that at times feels a bit flimsy, as well as scratchier plastics that are fairly easy to spot. The Fiesta is also not the most practical car on the block. Rear seated passengers will feel a bit cramped, while the boot measures just 290-litres. Still, that’s enough to make it bigger than the Mazda 2’s. There are positives, though. The Ford Fiesta Hatchback is easy to park thanks to its small dimensions, while the five-door model has better easier access to the rear and more storage spaces. 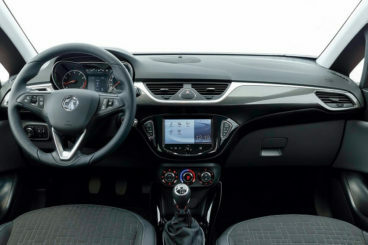 The new Vauxhall Corsa Hatchback is £2,500 cheaper than last time, and offers plenty of value for money. 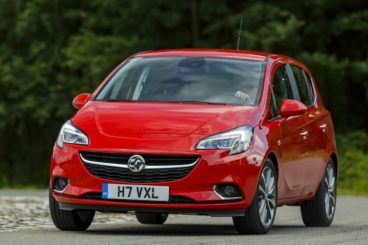 Vauxhall wanted to make their car better to drive, and as such have revamped the suspension setup so that it has better body control and improved ride quality. The result is a better driving experience, but it still falls short of both the Mazda 2 and the Ford Fiesta. The petrol lineup was in desperate need of improvement, and it now has a bit more oomph. The 1.0-litre turbo 113bhp unit is new, and develops plenty of power even at low revs. It can get you from rest to 62mph in just 10.3 seconds, and is both efficient and refined. The 1.4-litre 99bhp turbo engine is bigger, but it manages to be slower. It’s also noisy, and worth overlooking. There are also a few diesel engines available, but they all have flaws. Some are sluggish, while the most powerful is just too dull. As such, having fun with the Corsa is dependent on you choosing the right engine. The cabin is overall one of the best in this class, with the only thing letting it down being seats that feel a tad cheap. There is still plenty of comfort on offer, however, while refinement is great. A smart IntelliLink 7” touchscreen is available as an optional extra. It’s well worth adding, as it instantly elevates this car to upmarket status. The materials are of a high quality, with soft-touch plastics abounding. Like the Mazda 2 and the Fiesta, the Corsa is handicapped by its small dimensions when it comes to practicality. It can only do so much, but the three-door would have benefited from the lack of a sloping roofline, which diminishes rear headroom. Having said that, three adults should be comfortable enough in the back, and while there are lots of storage spaces the glovebox is super small. The boot, meanwhile, measures 285-litres. This is a car that’s ideal for young families. It’s as fun to drive as its cute and cheery looks suggest, and is an adept and agile handler that zips through traffic. Mazda have stuck to their guns when it comes to performance. Instead of stocking up on turbocharged power plants, they’ve gone for naturally aspirated units that, while still economical, give the car a bit of fizz. If value for money, style and fun are what you want from a small family car, the new Mazda 2 Hatchback makes a lot of sense.